These days, most futures traders trade on electronic platforms and execute their trades without the assistance of a broker. Technology has changed markets dramatically over recent decades. In the 1970s and 1980s, all futures and futures options contracts traded hands in a commodities futures pit at an Exchange. Traders would stand around in a circle and shout bids (buy prices) and offers (sell prices) at each other in an attempt to match buying and selling. At times when there was more buying than selling, the price of a commodity futures contract would go up. When more selling than buying came to the market, the price would go down. During those days, anyone other than a pit trader was a customer and all buy and sell orders for futures contracts and options on futures contracts needed to transact directly at the Exchange in the requisite pit. Beginning in the 1990s advancements in technology and price dissemination resulted in the development of market platforms that could operate without pit traders or brokers. These electronic platforms matched buying and selling in the market, eliminating the need for anyone in the middle of the transaction. Despite some objections from traditional floor brokers, electronic platforms were quick to gain acceptance as they lowered the cost of trading, increased speed when it came to execution and even increase liquidity or the ability to buy and sell at a very narrow bid/offer spread in many futures markets. The electronic trading revolution had another important ramification in the world of commodity futures trading. 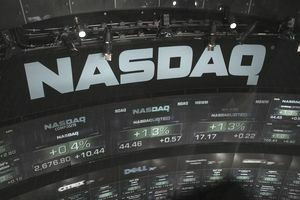 It fostered a massive consolidation within the industry as acquisitions and mergers of Futures Exchanges created two dominant players, the Chicago Mercantile Exchange (CME) and the Intercontinental Exchange (ICE). Before the consolidation and during the pit trading days, anyone wishing to trade futures or option on futures would call their broker to enter orders to buy or sell. However, now every trader and customer have the ability to trade and execute their orders because the electronic trading platforms of the exchanges are now real-time commodity pits. Anyone with a futures account a broker and FCM can trade and execute business on a level playing field. Today, many brokers offer their clients the ability to transact directly on very sophisticated platforms created by the broker or platform company to interact directly with the exchange as well as the clearinghouse for margining purposes. The platform itself can be the difference between making and losing money in the commodities futures markets. It is critical to select a company that offers a platform that you are comfortable with and will use to conduct the fundamental and technical analysis necessary to be successful when trading in the volatile commodities futures markets. These platforms tend to supply customers with extraordinarily fast prices, charting capabilities with amazing graphics and a myriad of technical and statistical studies as well as streaming the latest news. Additionally, some platforms allow customers to access historical price and technical metric data from the Exchanges. Volume, open interest, and price data over time will offer a trader or investor the information necessary to conduct an in-depth analysis of markets of interest. Most, if not all of these companies can set a customer up with an account and a platform on which to trade in the futures and options markets. For the more sophisticated trader, there are platforms that offer a level of sophistication when it comes to technical studies and data that is a cut above. While these platforms tend to be more expensive, they offer traders and investors some amazing analytical studies and capabilities. One example of a platform used by many professional traders is CQG. The most important thing to look for when choosing a platform for futures and options trading is comfort and ease of use. The more comfortable you become with a trading platform, the more you will use it and this will enhance your knowledge as well as your success when approaching the volatile world of commodities futures markets.